I think you all know me well enough by now that I find it very difficult to say no to new animals. 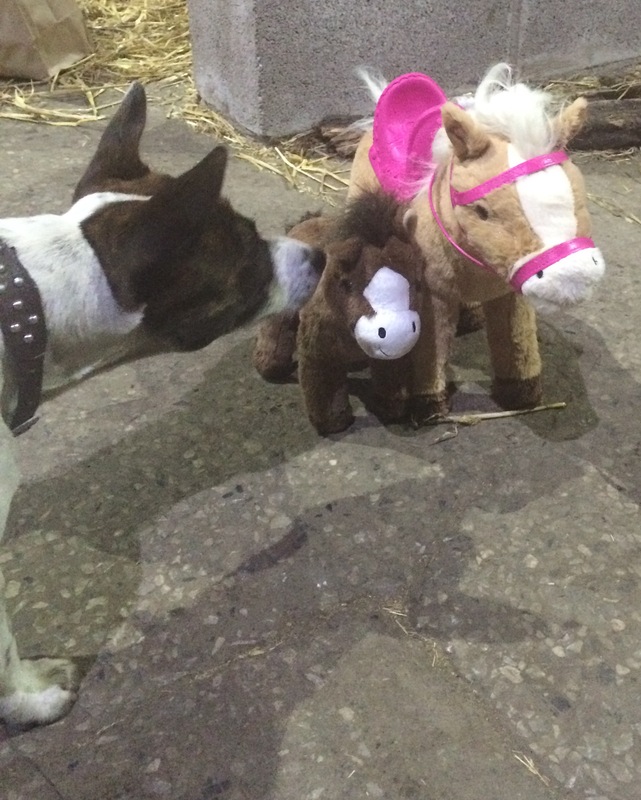 So when Baby Born got in touch to see if we could give Sunny and Baby, her foal a home, I just couldn’t say no. They arrived in a lovely (horse) box and settled in straight away. 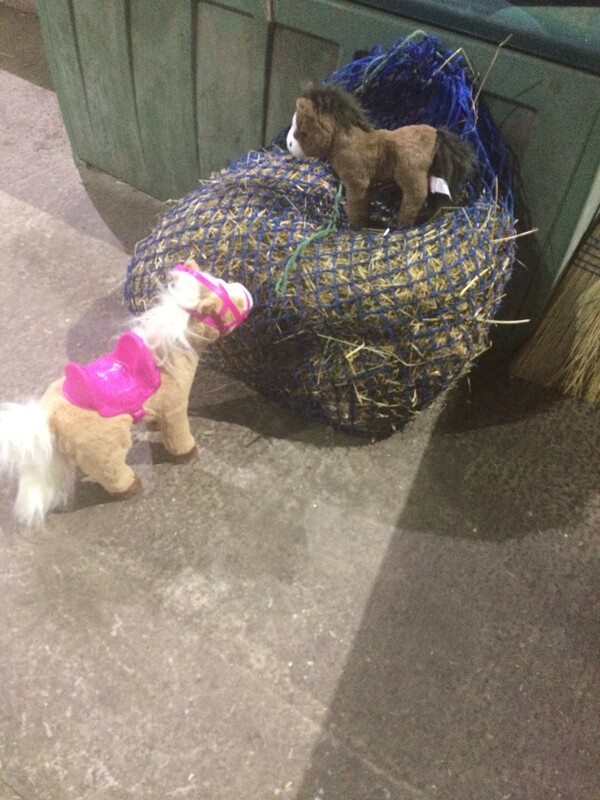 Their new stable was set up. They ate some lovely fresh hay and began to explore their new surroundings. If you press Sunny’s right ear, she neighs and, according to the other horses we have, the sound is very realistic. If you press her left ear, she trots on and, thanks to the strong bond (magnet) between mother and foal, they actually walk together. They loved the ménage and had a great work out in there. Our niece’s dog was not so sure but I am sure they will get along fine. The beauty about Sunny and Baby is they need very little time. They are totally house trained so no mucking out. 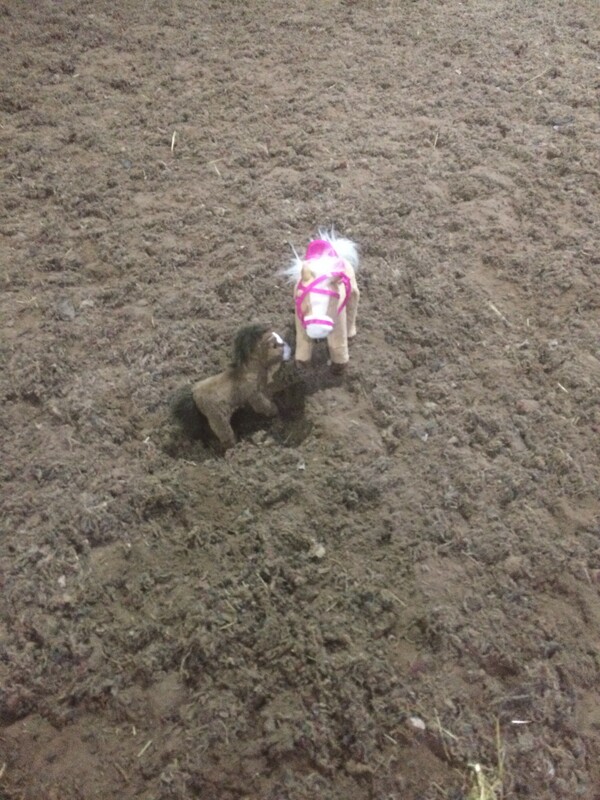 They are so small that they eat very little and they get on well with other horses. 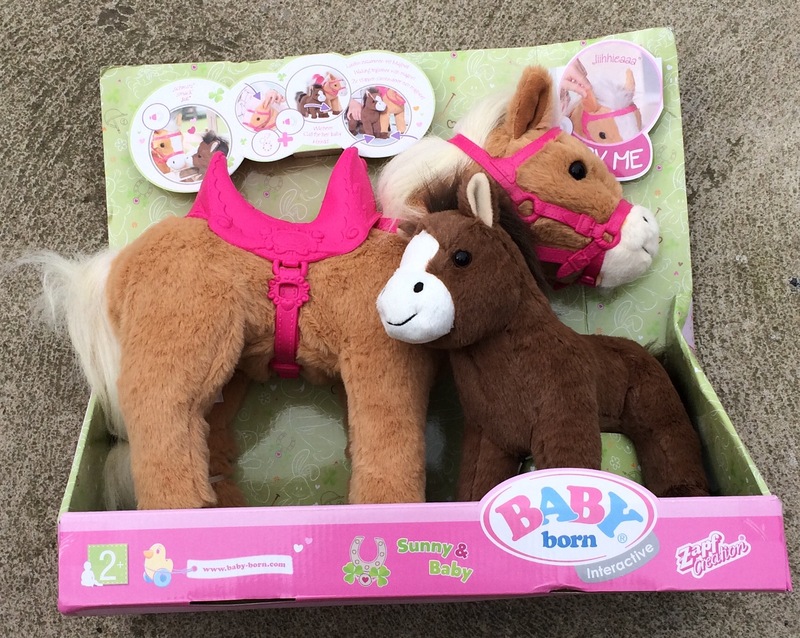 Sunny comes with a saddle and bridle and Baby Born dolls fit perfectly on the back. After a hard day on the farm, Sunny and Baby enjoy nothing more than settling down onto the sofa to watch the Horse Channel on TV. They are also partial to a bit of Countryfile, Peppa Pig (Baby loves Pedro Pony) and, when the children have gone to bed, Emmerdale because the pair can’t quite believe it is no longer called Emmerdale Farm. 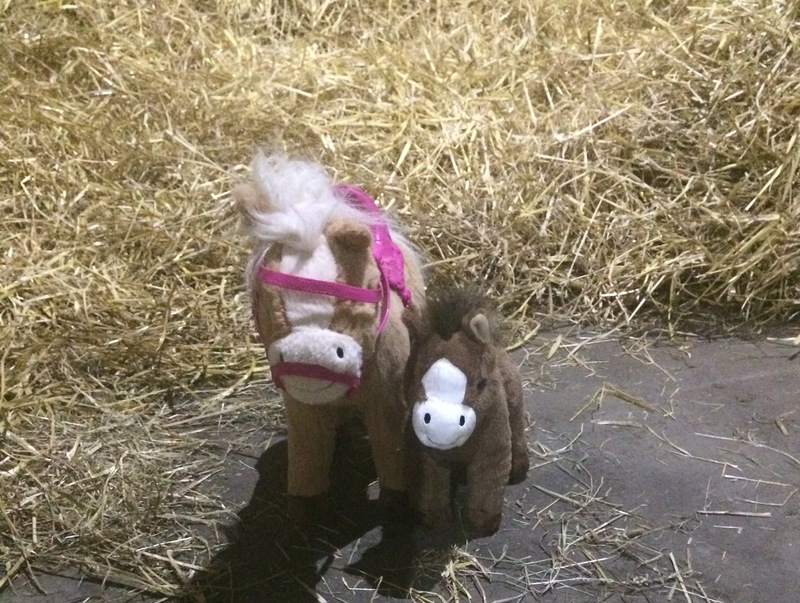 If you have Baby Born fans, Sunny and Baby would be the perfect addition to your family and, just in time for Christmas. Likewise, for animal and equestrian enthusiasts, this really would be the perfect gift. 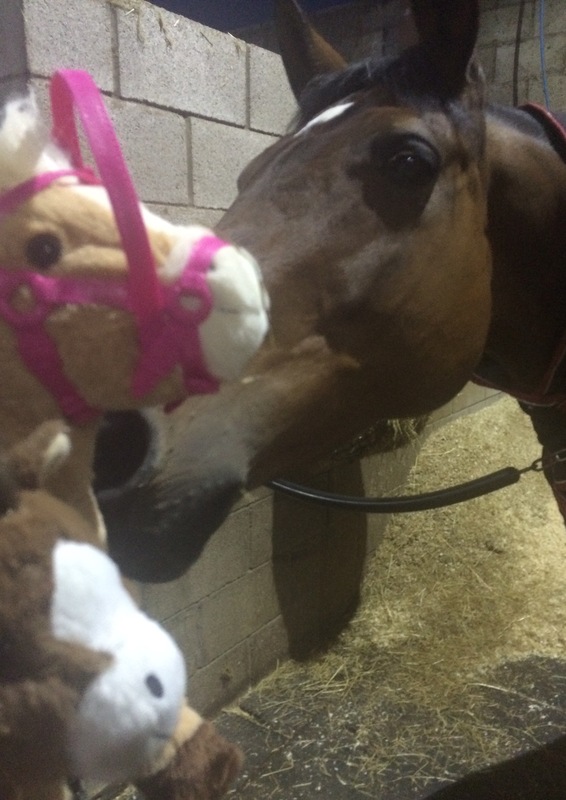 I know Baby Born are keen to emphasise that doll-play is not just for girls and Sunny and Baby carry this belief on because both of my children love them and, with a little horse each, there is no arguing. 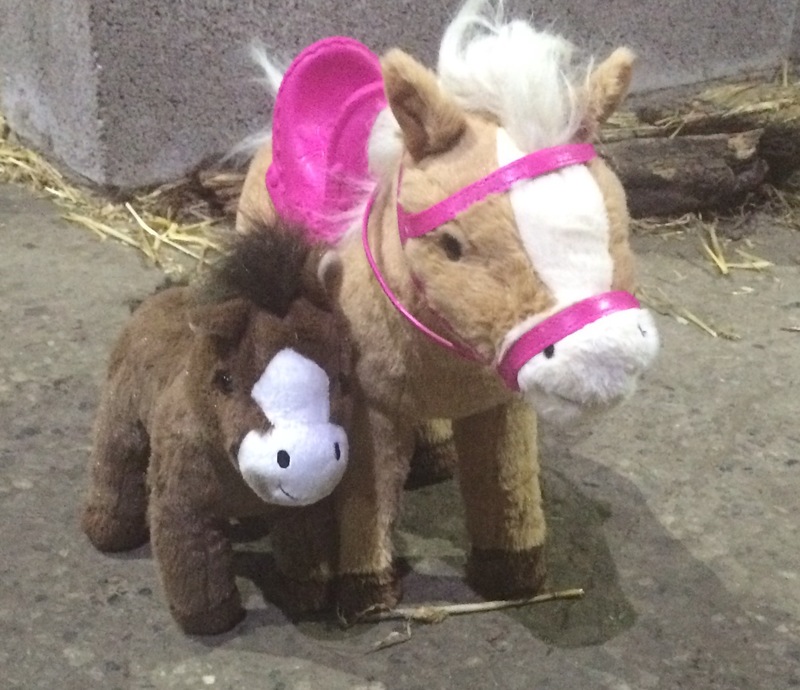 Baby Born Pony Farm Sunny and Baby retails for £49.99. We were asked to provide a loving home for them but all opinions are my own. oh bless these look so cute!